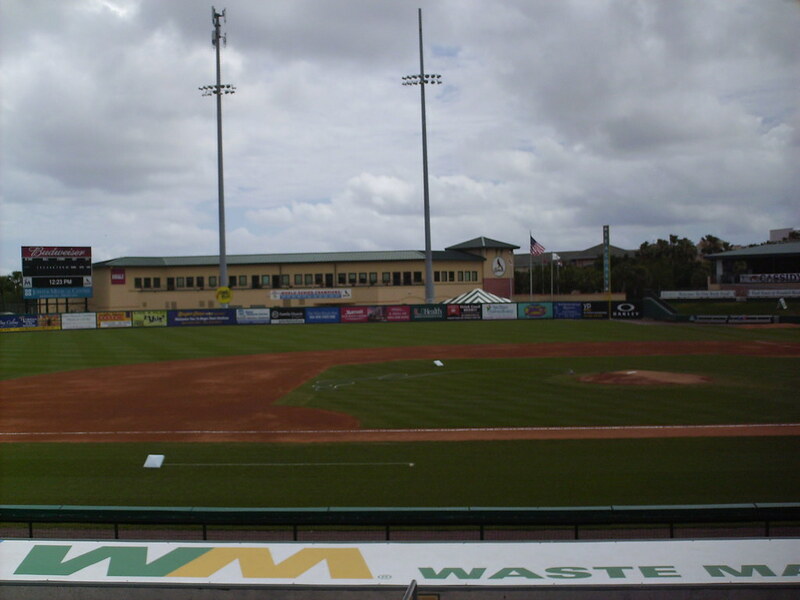 The view from behind home plate at Roger Dean Chevrolet Stadium. The view from down the first base line, looking out over the Cardinals dugout. 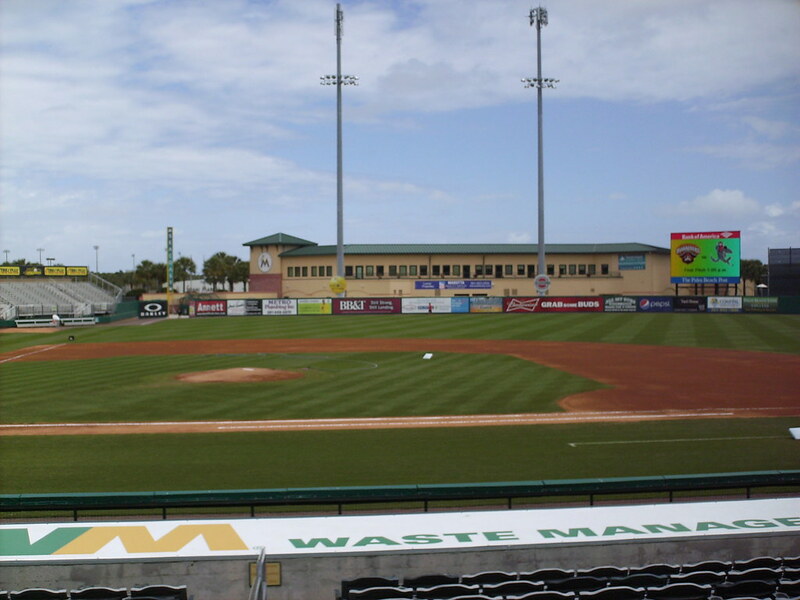 The view from down the third base line, looking out over the Marlins dugout. 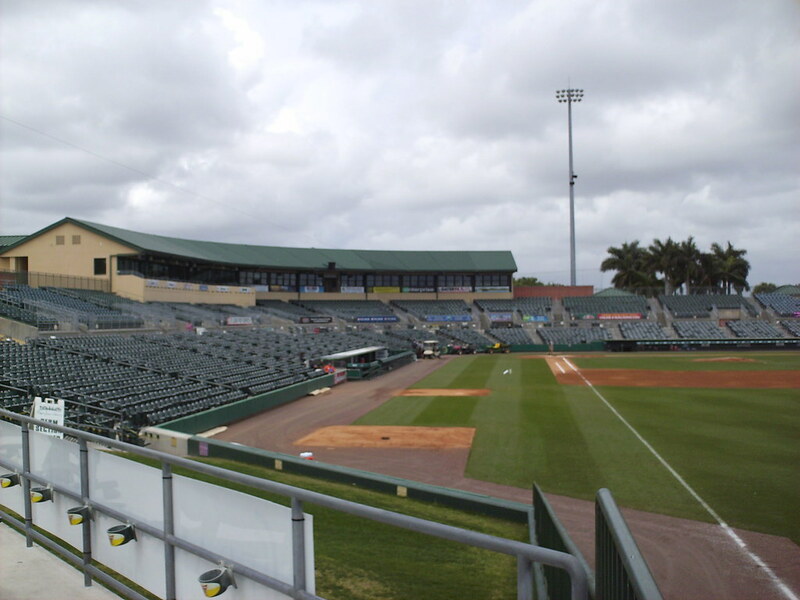 The grandstand at Roger Dean Stadium as seen from the right field corner. 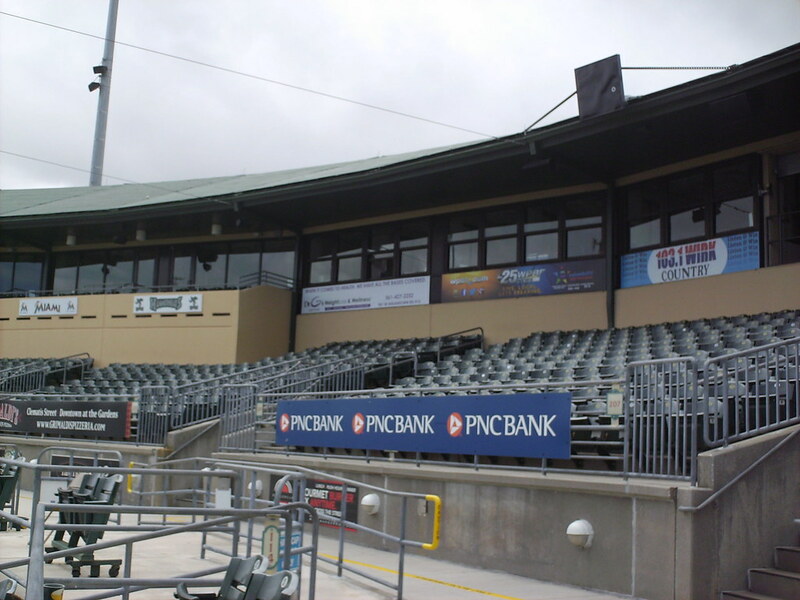 The pressbox behind home plate, with luxury suites on either side. 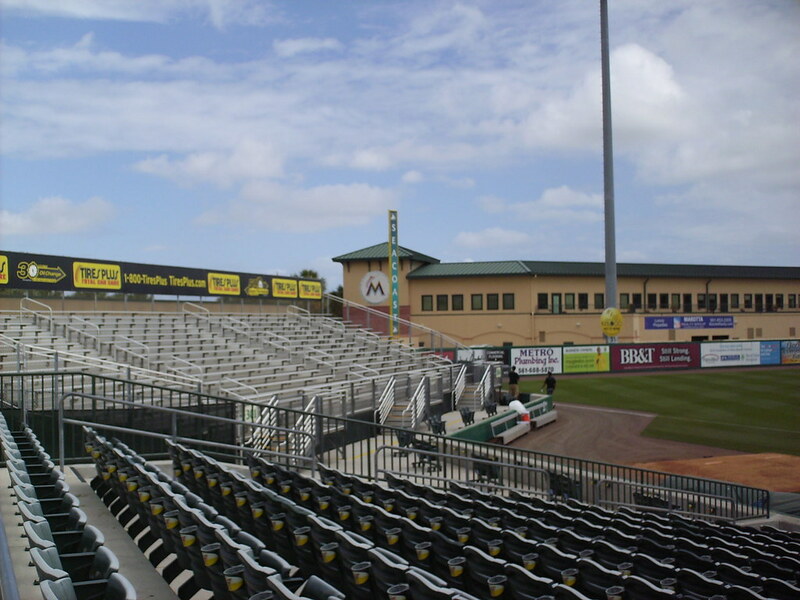 The suites on the first base side of the grandstand feature a few rows of seats outside the window. 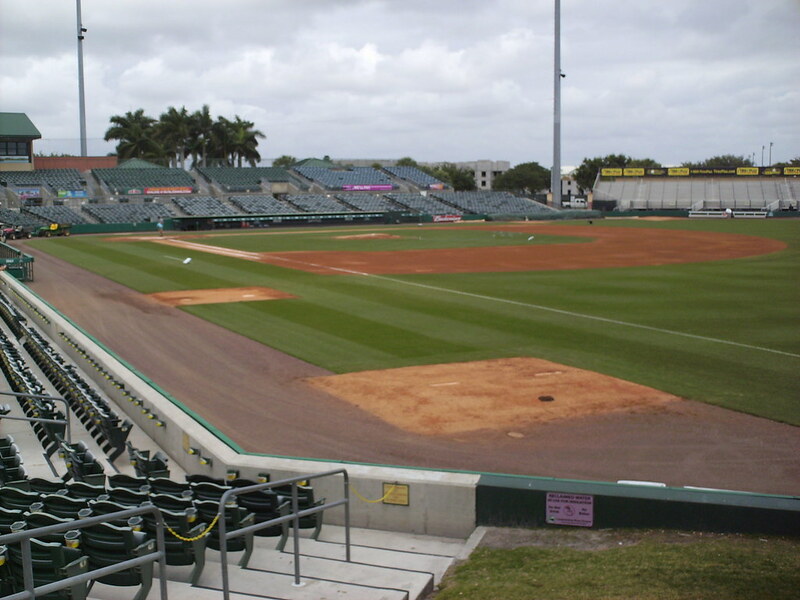 A section of bleachers sits in the left field corner, right beside the Marlins clubhouse. 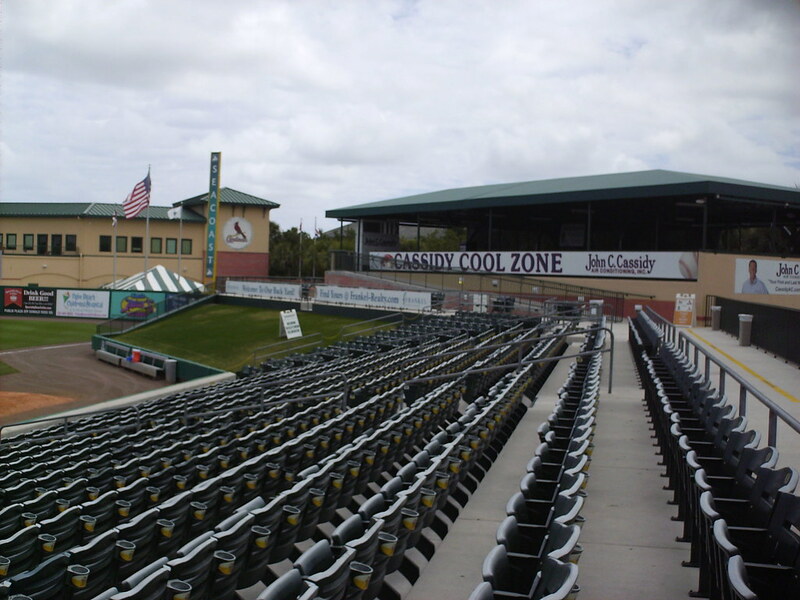 A covered party deck provides the only shade in the ballpark, and a small berm sits right in front. 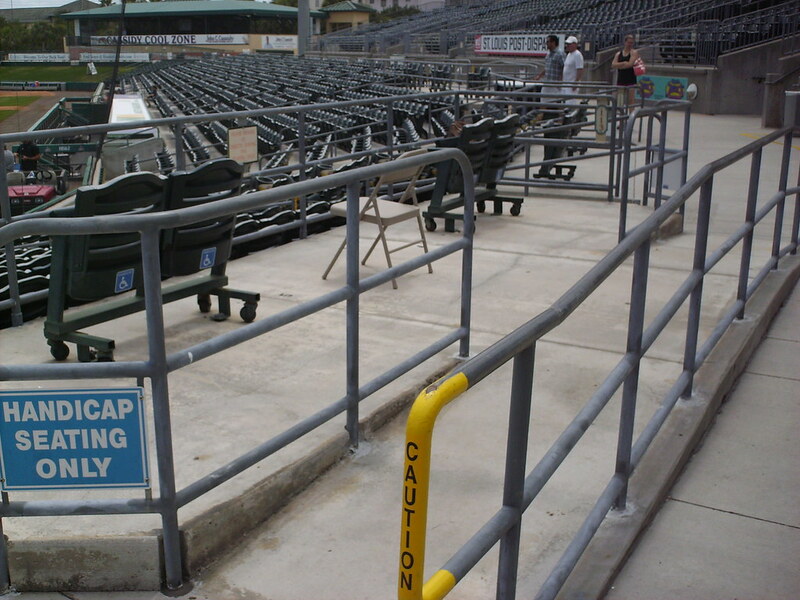 Handicap seating areas in the park are raised up slightly from the aisle in the main seating bowl. Standing room areas are sectioned off along the back of the aisle. 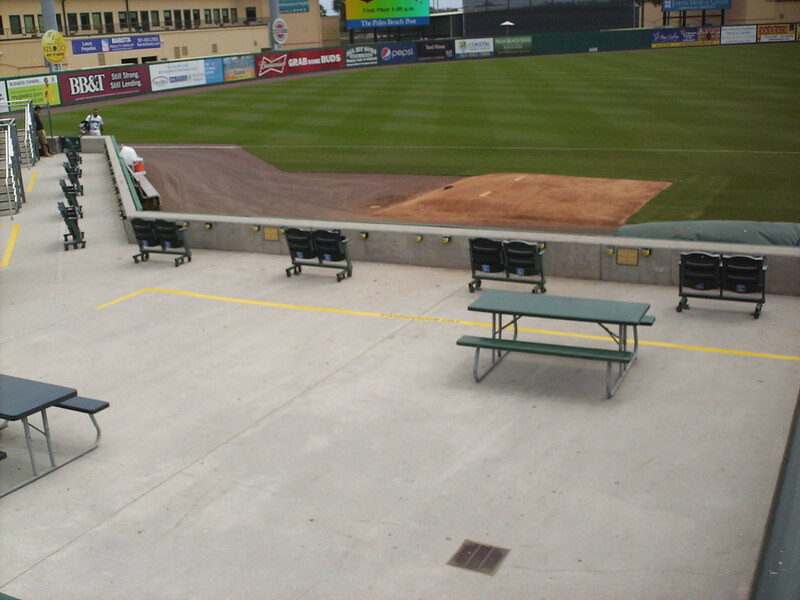 A large open area in front of the left field bleachers features picnic tables and a short fence. 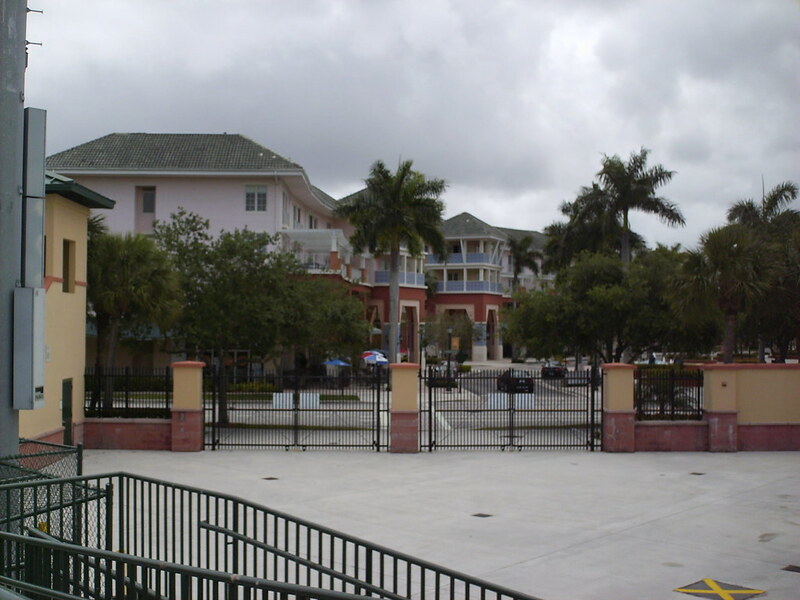 Roger Dean Chevrolet Stadium is located in the Abacoa planned community, and the downtown area is located right outside the stadium gates. 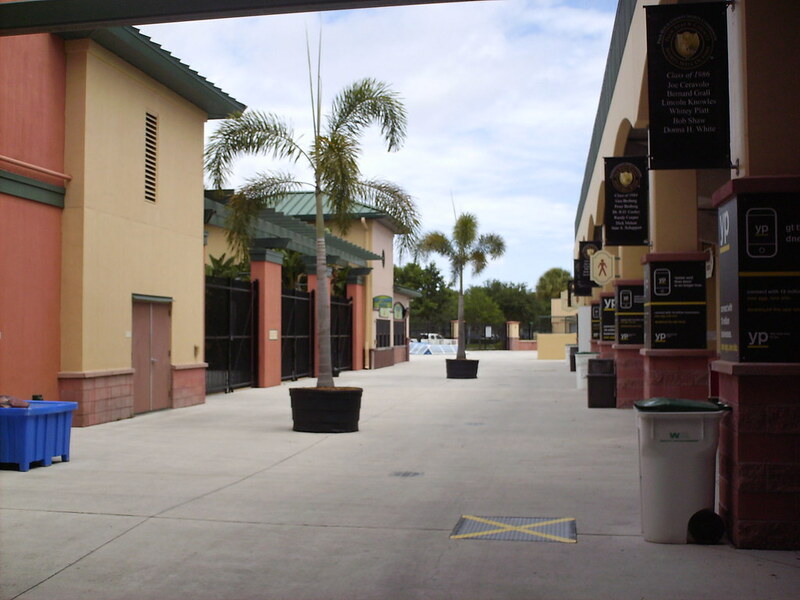 The concourse at Roger Dean Stadium. 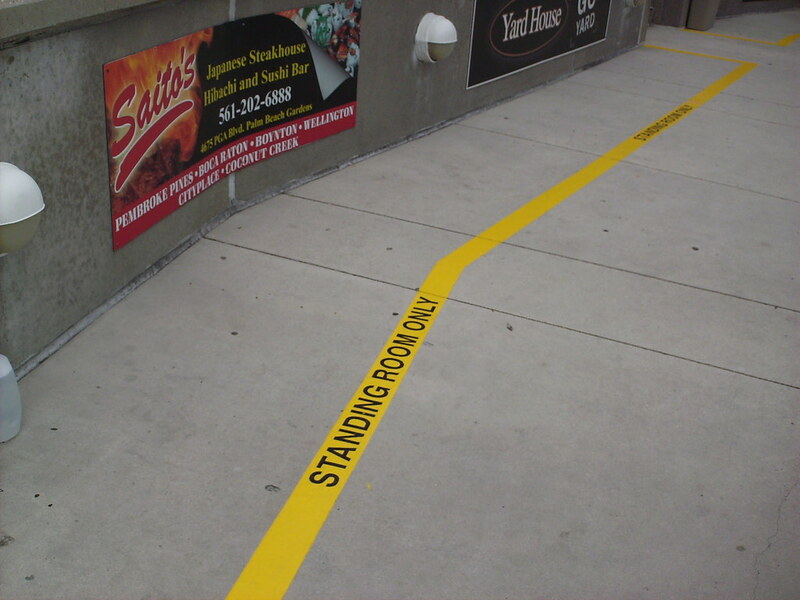 The bullpens are located in the wide foul territory down each baseline. Banners on the Cardinals clubhouse celebrate the major league team's World Series titles. 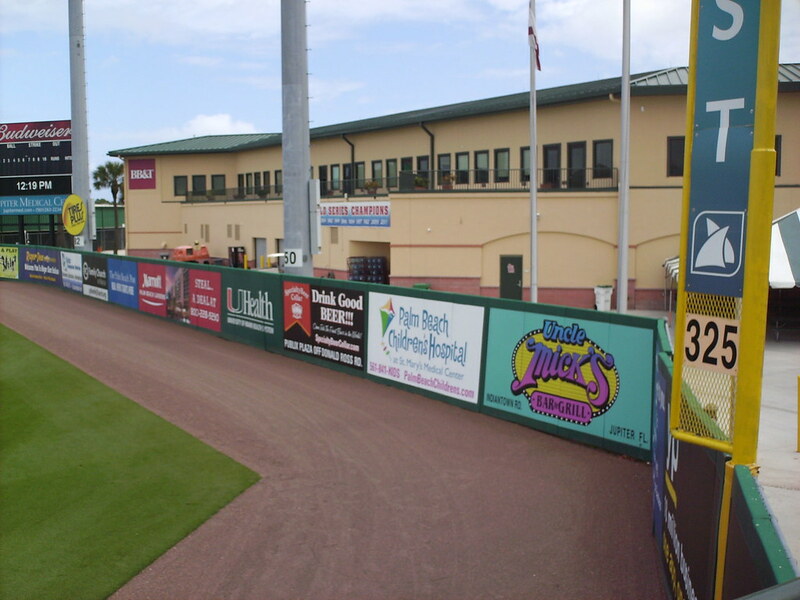 The scoreboard and batter's eye in center field. 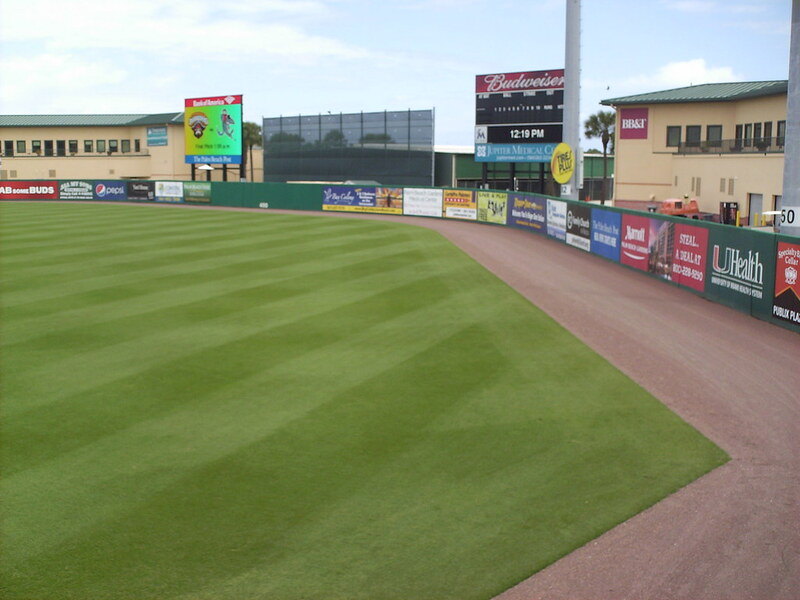 A separate video board sits behind the right field fence. 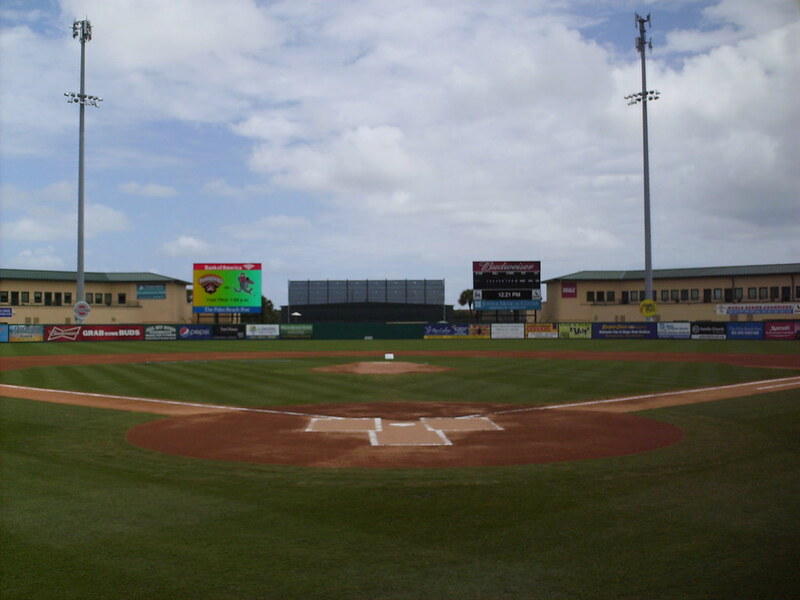 The Jupiter Hammerheads on the field during a game at Roger Dean Chevrolet Stadium. 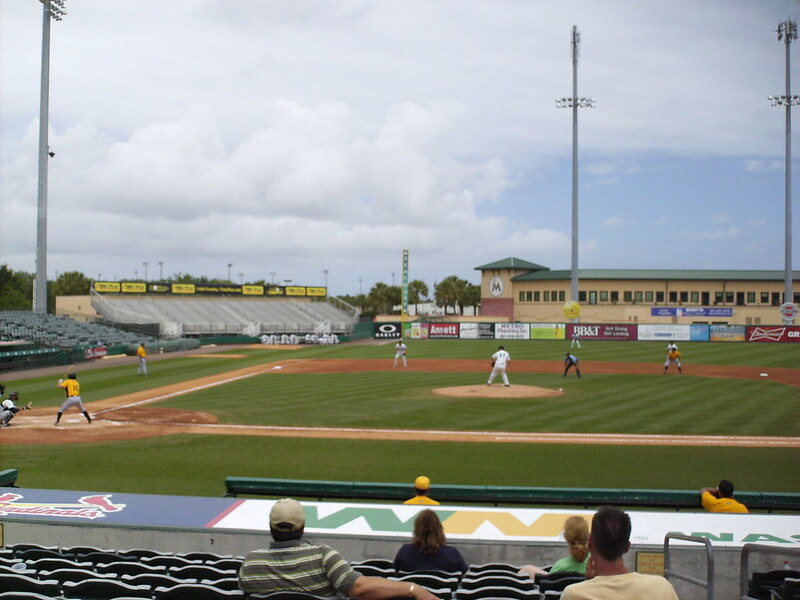 The park is the only one in professional baseball to host 2 full-season league teams. 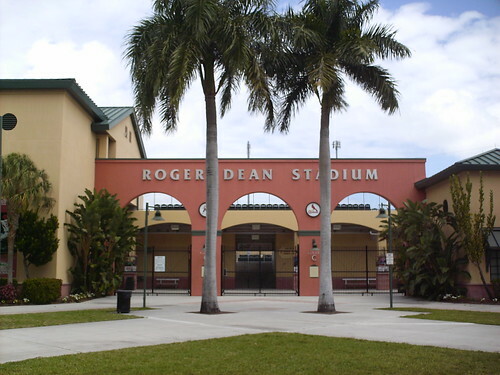 With 2 major league teams holding Spring Training as well, Roger Dean Stadium hosts a game almost every day from late February to September.